Reggio Emilia is often overlooked by the tourists coming to Emilia Romagna. Reggio Emilia is a medium size town on the Via Emiia situated between Modena and Parma, and it makes the perfect base for the culinary traveller as there are many gourmet foods to be discovered. Reggio Emilia and Parmesan cheese. Reggio Emilia is in the cradle of Parmigiano Reggiano. The history of this amazing cheese starts here. Bibbiano has been named the town where the first production started around 900 years ago due to the discovery of the first written accounts of the cheese production. Therefore visiting Reggio Emilia makes perfect sense for those interested in seeing the production of Parmesan cheese. Traditional balsamic vinegar of Reggio Emilia. Modena made balsamic vinegar known worldwide but the production of aceto balsamic tradizionale is not restricted to the Modenese province. In the tradition balsamic vinegar was the dowry of young women who would marry and bring the vinegar barrels with them. Due to the close proximity of the two provinces the tradition was also brought in Reggio Emilia. Here it is possible to find more old fashioned producers who make only high quality traditional balsamic vinegar rather than concentrating on industrial vinegar as many do in Modena. Fresh Egg Pasta: tortelli di zucca. Of course Reggio Emilia, as all towns in the Emilia Region, produces its own version of fresh egg pasta. One of the most peculiar ones are the Tortelli di Zucca. Sometimes hat or ravioli shaped these parcels are filled with ricotta cheese, parmesan and pumpkin. Some recipes require a hint of crumbled amaretti biscuits in the filling, it is indeed an acquired taste but they can be delicious when topped with melted butter parmesan cheese and a few drops of balsamic vinegar. Erbazzone belongs to the simple farmer’s style cuisine. The women in the kitchen had to come up with something filling and tasty so erbazzone is a pastry made with lard and flour with a filling of chard, spinach, or whatever was in the allotment at the time of preparation. The filling requires to be laced with parmesan cheese, and you could put as much as you could afford. The pastry is pierced with a fork to let vegetable inside to steam when baking in the oven. Culaccia is a culatello, (the best prosciutto cut) but it is cured with the rind on. This technique allows the meat to stay soft and tender. Culaccia can be found on the Reggio Emilia hills where the climate is drier and away from the foggy plains. In some cases Culaccia beats Parma ham and culatello in tasting competitions. 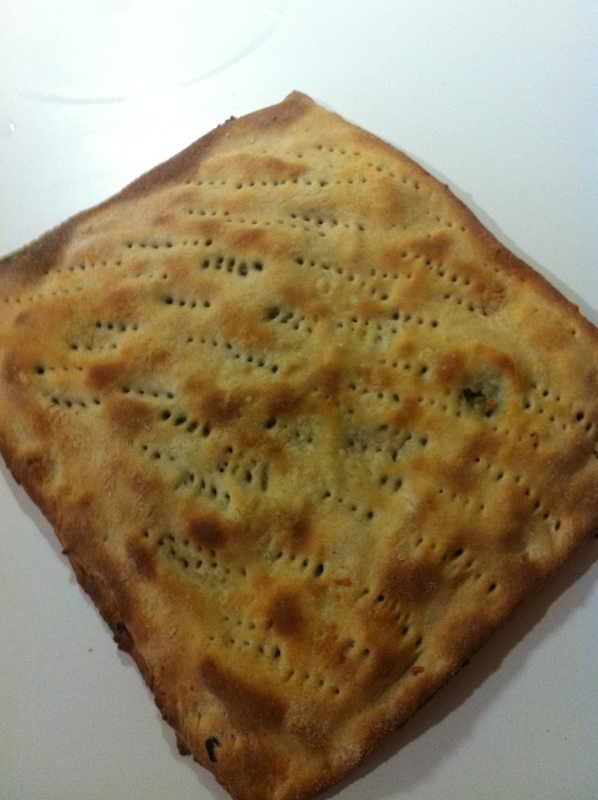 So it is well worth to look for some slices of culaccia in the next trip to Italy. Previous Previous post: How to be a vegetarian in Bologna and in Italy. Next Next post: Three charming stays in Bologna that travellers are missing.